In light of yesterday's tragedy in Nice France it's impossible to imagine the horror and grief that the citizens of Nice are experiencing. It's left me feeling a deep desire to pray for peace, because it's all I feel that I can do to make any difference in this heart breaking situation. We all need to pray for peace in this world, more now than ever. We only combat hate with love. The Three of Pentacles is about openness, having the ability to effectively communicate and work together for peace with others in unity. This only comes about in the spirit of love and compassion. We all have a basic need for recognition, and perhaps we might think we'll be rewarded in some way for a job well done, but we can't necessarily expect it. Individuals don't always get rewarded for good behaviour, and many times they're punished for it, and on the other hand people are often rewarded for bad behaviour. This of course can't be seen as being fair at all, but it is the way the world is, more often than not. This is the reason why people need to work together in collaboration through effective communication that comes with having an open heart and mind. 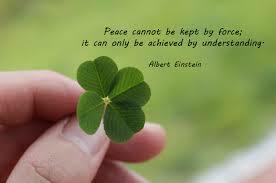 It all might sound easy enough, but it takes commitment and great effort to achieve peace, love and unity. This commitment and effort when it comes from a empathy and love for others, not out of obligation or through force is the way to understanding in a very troubled world. Pray For Peace. 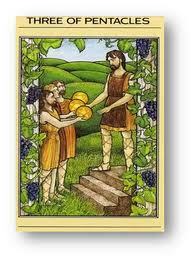 Death - "Luke I Am Your Father"
Ace of Cups - What's Love Got To Do With It?